Weston Park Railway in 2003, 4566 at Arley in 2009, 60073 at Bromsgrove in 2010, 50049 and D1062 at Cradley Heath in 2011and finally 47818 and 47828 at Small Heath in 2012. 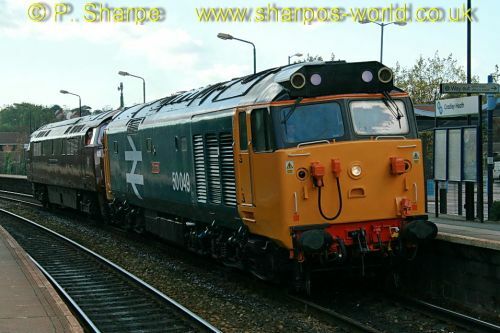 50049 and D1062 at Cradley Heath in 2011. More photos in gallery. This entry was posted in "On This Day" (in the past), All recent postings, Sharpo's World Photo Updates on October 18, 2018 by Sharpo.